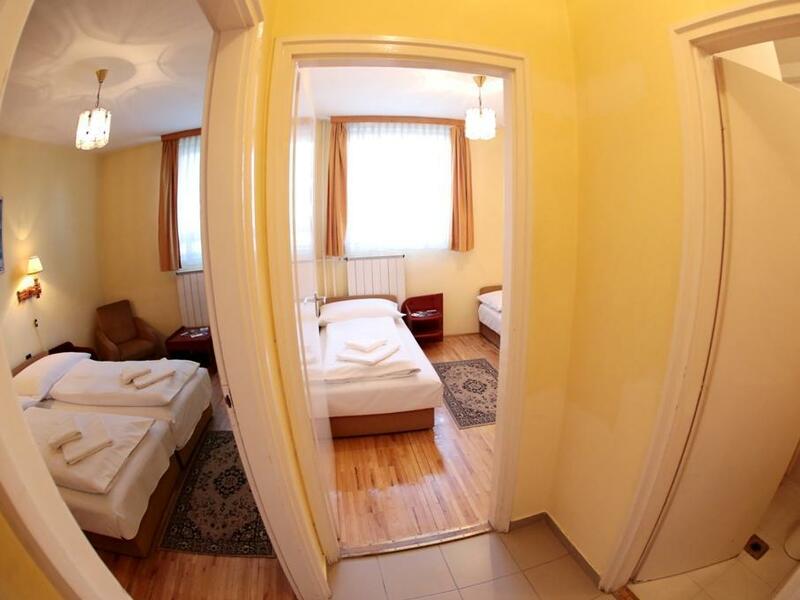 ﻿ Bara Junior, Budapest | FROM $40 - SAVE ON AGODA! Have a question for Bara Junior? 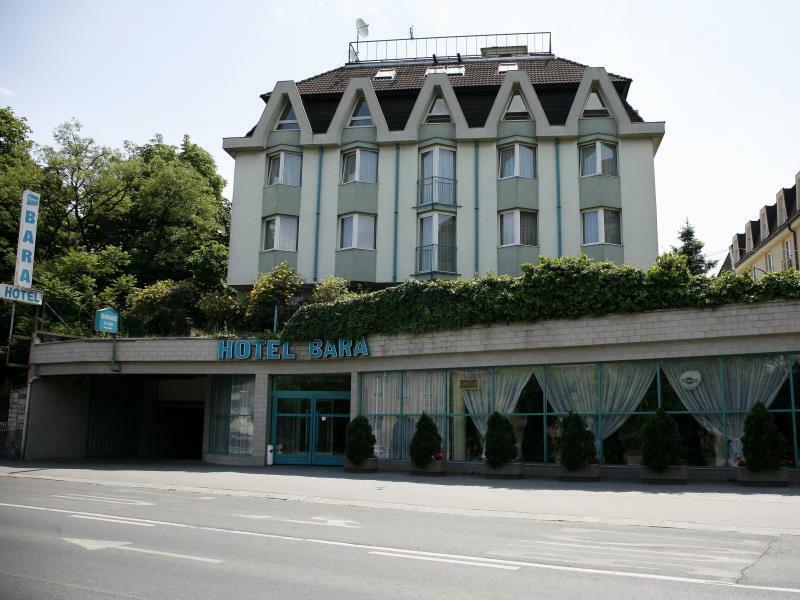 If what you're looking for is a conveniently located hotel in Budapest, look no further than Bara Junior. 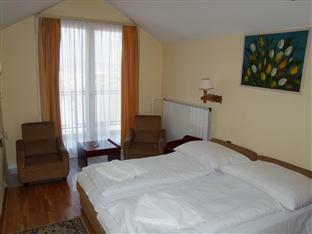 Situated only 2.0 Km from the city center, guests are well located to enjoy the town's attractions and activities. For sightseeing options and local attractions, one need not look far as the hotel enjoys close proximity to NONPLUSZ, Embassy of Brazil, Embassy of Angola. At Bara Junior, every effort is made to make guests feel comfortable. To do so, the hotel provides the best in services and amenities. The hotel provides Wi-Fi in public areas, car park, airport transfer, restaurant, tours to ensure our guests the greatest comfort. In addition, all guestrooms feature a variety of comforts. Many rooms even provide television LCD/plasma screen, separate living room, heating, desk, telephone to please the most discerning guest. Besides, the hotel's host of recreational offerings ensures you have plenty to do during your stay. 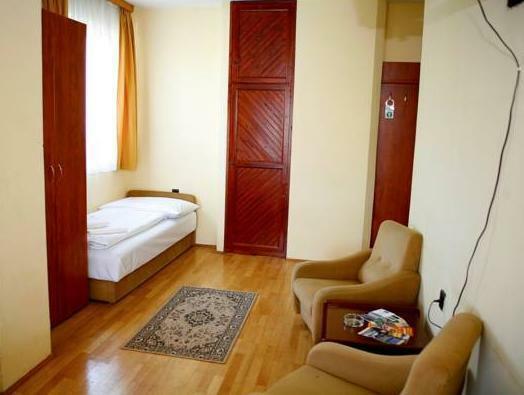 When you are looking for comfortable and convenient accommodations in Budapest, make Bara Junior your home away from home. Please note that the parking fee is 10 Euros per day. Everything went smoothly. The staff at the reception and the bar were very nice and helpful. The housekeepers didn't bring any new towels at any time during our five-day visit. all and all, it's a budget hotel and you get what you pay for. The hotel and it's rooms had definitely seen their better days a decade ago. Everything was worn-out: the lightning didn't work properly, TV didn't work at all. The breakfast was bearable. rien n'a bougez depuis au mois 5 ans, draps douteux,et serviettes de bain qui ont mal vieillit, moquette idem, même chambre et même TV, qui fonctionne toujours très mal, parking à 10€ la journée, presque un hôtel à l'abandon très déçu accé aux chambres par un long couloir, et beaucoup de marches d'escaliers dommage cela n'est pas très alléchant, impossible de connectée la wi-fi dans sa chambre il ne me verrons plus! нормальный завтрак,пиятный персонал но не говорящий по русски . Po príchode na hotelovej izbe bolo cítiť kanalizáciu, koberce boli akoby špinavé, kúpelna pôsobila špinavo,/obitá sprchová výlevka, zastriekaná sprejom, vodovodné batérie akoby boli zaplesneté/ napriek upozorneniu na nefajčiarku izbu, bolo na chodbe cítiť fajčenie, prikrývky boli nesmierne ťažké. Ďalší hostia okolo jednej v noci boli nadmieru rušní asi hodinu, pričom nikdo nič neurobil pre nočný kľud. Personál bol v pohode, hlavne pri príchode. Vstupná miestnosť v pohode ale celkový dojem z hotela veľmi zlý,pôsobil na nás špinou, určite by sme tam viac nešli a nedávali odporúčania. Cenu, ktorú poskytovali ako zlacnenú, myslím, že by mohla mať aspoň primeranú čistotu a naviac v jedálni sa používali umelé kávové lyžičky. Jól megközelíthető, olcsó, kényelmes, a reggeli bőséges. Családommal kiválóan éreztük magunkat, Budapesten ezentúl mindig itt fogunk megszállni.